Keep the control over your wireless infrastructure at all times! 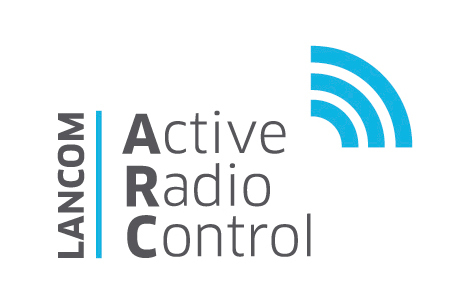 With the intelligent Wi-Fi optimization concept LANCOM Active Radio Control you can sustainably improve your radio field, avoiding sources of interference and thus activate the full potential of your Wi-Fi! Thanks to the intelligent combination of innovative features, included in our operating system LCOS, as Band Steering, Adaptive Noise Immunity, Adaptive RF Optimization, Airtime Fairness, and Client Steering, the performance of the WLAN is sustainibly increased - and the administrator is supported with professional WLAN management. With RF Optimization LANCOM WLAN controllers configure optimal channels for the access points in the 2.4 GHz frequency band - triggered by the administrator. In the first step, the channel lists of the access points are deleted and prepared for a new definition. After that, the WLAN modules are shut off and successively turned on again. In turning on, the modules automatically search for a free channel and thus optimize the distribution of the channels in the radio field. The module with the highest measured interference is prioritized for channel selection. Managed RF Optimization can be activated for all access points managed by a WLAN controller or specifically for individual devices. 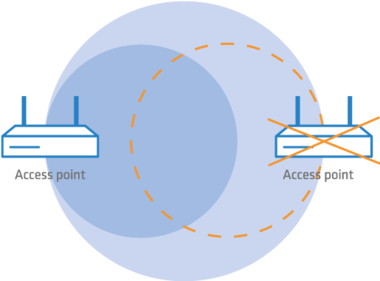 By choosing a WLAN channel, the part of the frequency band an access point uses for its logical WLANs is defined. In order to flawlessly operate a WLAN in reach of another access point, each access point should be using a separate channel – otherwise the WLANs have to share the bandwidth of the channel (shared medium). For this purpose, LANCOM access points use the feature Adaptive RF Optimization: The access point permanently scans the radio field for interfering signals. 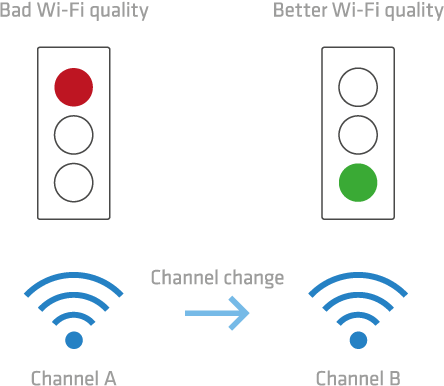 If a certain threshold has been exceeded in the currently used WLAN channel, the access point automatically changes to a qualitatively better channel. This intelligent functionality enables the access point to dynamically adapt to an ever-changing radio field in order to maximize the WLAN’s robustness. Especially in WLAN scenarios with a high client-density, the devices compete for the available bandwidth. Thereby the sending opportunities are passed around the active clients – without considering necessary transmission times. This leads to slower (legacy) clients slowing down faster clients during the transmission of data packets, although the faster ones could quickly finish their data transmission. 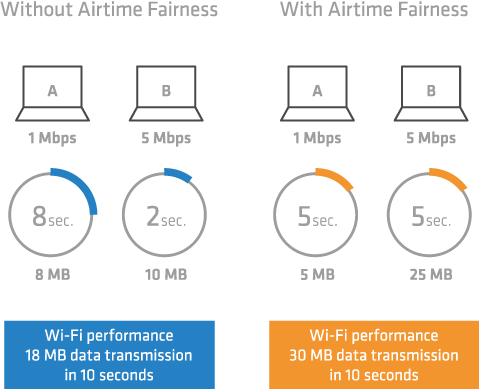 The feature Airtime Fairness ensures that the available bandwidth is efficiently used. For that purpose, WLAN transmission times (“airtimes”) are fairly distributed among the active clients. The consequence: Thanks to all clients being provided with the same airtime, faster clients can achieve more data throughput in the same amount of time accordingly. Use the bandwidth of your WLAN to an optimal extent! A WLAN operating in the 2.4 GHz frequency band can be quickly strained by a high number of clients - while there is still enough capacity at 5 GHz. To achieve an equally loaded WLAN and therefore enabling a more stable and faster connection for all clients, Band Steering is an efficient solution. The condition is the use of dual radio access points , that is access points with two radio modules. These access points should transmit an identical SSID at both 2.4 GHz and 5 GHz. With every attempt of entering this SSID, the access points checks if the corresponding client has already been seen at 5 GHz. In this case, the access point will no longer answer the probe request via 2.4 GHz, but only via 5 GHz. Thanks to an active steering of WLAN clients to the most ideal access point, the WLAN performance in controller-based networks is significantly increased. 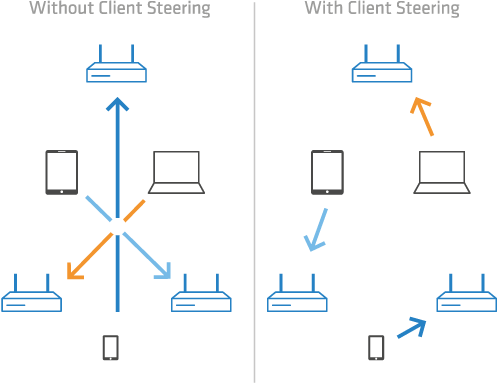 Especially in WLAN scenarios with a high number of end devices, Client Steering is ideal for an optimized load balancing. Depending on predefined scenarios or individually set parameters such as signal strength, frequency band or number of associated clients, end devices are associated to the most suitable access point and thus benefit from the full bandwidth potential. All of this takes places automatically, without the need of changing the clients' configurations. Better WLAN throughput due to immunity against interfering signals! WLANs often operate in challenging environments with many different sources of interference, compromising the performance of the own WLAN. 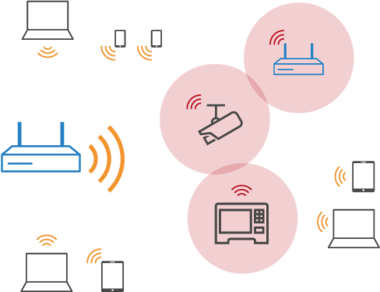 Potential sources of interference may be other WLAN signals or other radio signals such as Bluetooth devices, wireless cameras, and microwave ovens which may have significant influence on the WLAN. By activating Adaptive Noise Immunity, an access point ignores sources of interference in the radio field and only focuses on WLAN clients with sufficient signal strength. This process is based on measured values of the WLAN module with regard to interferences in the radio field. If a defined threshold is exceeded, the reception sensitivity of the WLAN module will be reduced by LCOS respectively. Therefore, the probability is increased that the WLAN module will ignore intereferences while searching a free transmission slot, due to the “Carrier Sense Multiple Access / Collision Avoidance” procedure. These adaptive changes of the reception sensitivity, based on the permanent check of the radio field, the optimal operation of the WLAN module is induced. Ideal for Wi-Fi backup scenarios: If one access point fails, the transmission power of the remaining ones can be in creased to grant Wi-Fi coverage within the subsidiary. For that, all access points are positioned so that full Wi-Fi coverage is given even with reduced signal strength. With the help of constantly updated information about the currently active access points, the transmission power reduction of all reachable access points can be adjusted on any change, so that gaps within the coverage area can be eliminated. As soon as the full number of access points within the network is available again, the initial transmissi-on power reduction will be used again. Note: To grant a reliable illumination, a higher number of access points has to be planned than would be necessary with unreduced signal strength. With LANCOM Spectral Scan you have a professional tool for an efficient WLAN troubleshooting. 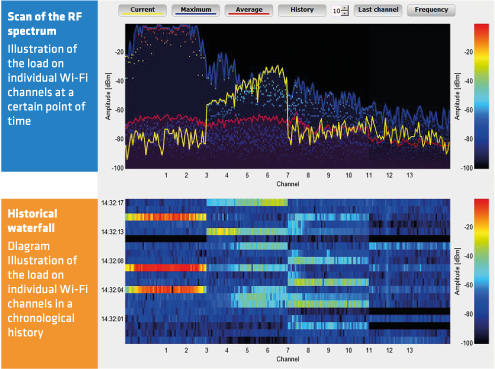 By scanning the entire RF spectrum, sources of interference such as microwaves, wireless telephones, Bluetooth devices or video transmitters can be identified, graphically illustrated, and the time of occurrence is documented. This way, the extensive workload of a specific channel at 2.4 GHz can be determined, leading to the conclusion that an interfering signal is in place. Having this information, the administrator can initiate countermeasures by switching the channel or removing the interfering signal.